A big-screen adaptation of Broadway jukebox musical smash, 2008’s “Mamma Mia!” didn’t make the smoothest transition from stage to screen, but its committed cast and their karaoke-like vocal stylings of instantly hummable songs by Swedish pop group ABBA gave it a scrappy, charmingly goofy exuberance. Released exactly a decade ago, that airy, toe-tapping, eager-to-please lark earned a part-sequel, part-prequel, “Mamma Mia! 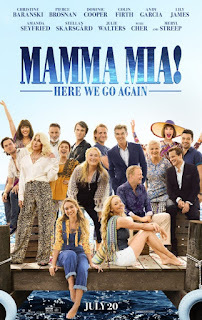 Here We Go Again!” It’s just as frothy and sometimes downright irresistible, eagerly wanting to give you a good time, even if the wispy connective tissue in between the jukebox musical numbers is a flashback-ridden rehash and even flimsier than it was before. “Mamma Mia! 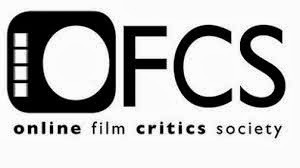 Here We Go Again!” is as unnecessary as sequels get, but there are marked improvements over the first film, being easier on the eyes and the ears. Besides, how can you resist this? 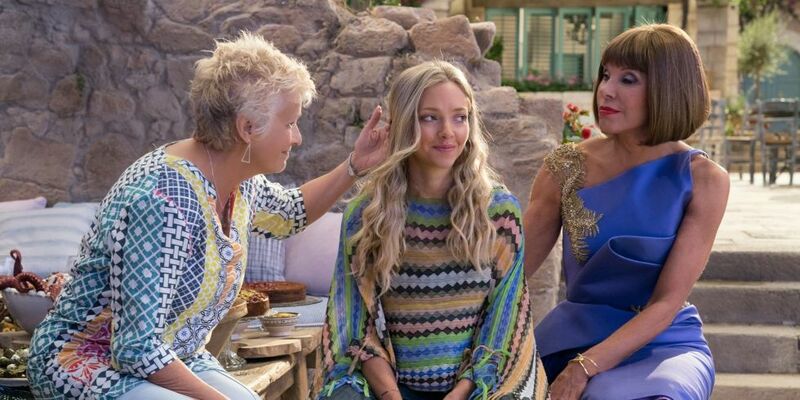 The free-spirited, overall-rocking Donna Sheridan (Meryl Streep) might have died a year ago, but on the Greek island of Kalokairi, daughter Sophie (Amanda Seyfried) is preparing to re-open her mother’s inn, now calling it the Hotel Bella Donna in her honor. Sophie has enough on her plate, but she and husband Sky (Dominic Cooper) have hit a rough patch, with him being in New York and contemplating taking a hotel managing position. When Donna’s closest friends and former musical Dynamos, Tanya (Christine Baranski) and Rosie (Julie Walters), arrive to the island to support Sophie, they reminisce back to when Donna was an Oxford University graduate in 1979. In flashbacks, Donna (Lily James) sets out on a spontaneous adventure, which takes her to Paris, where she meets British virgin Harry (Hugh Skinner), and then Greece, where she meets Swedish sailor Bill (Josh Dylan) and Irish-American architect Sam (Jeremy Irvine). Back in the present, Sophie’s one father, Sam (Pierce Brosnan), is already on the island, helping her with the grand opening, while her other fathers, Harry (Colin Firth) and Bill (Stellan Skarsgård), are on their way because they wouldn’t miss it for the world. 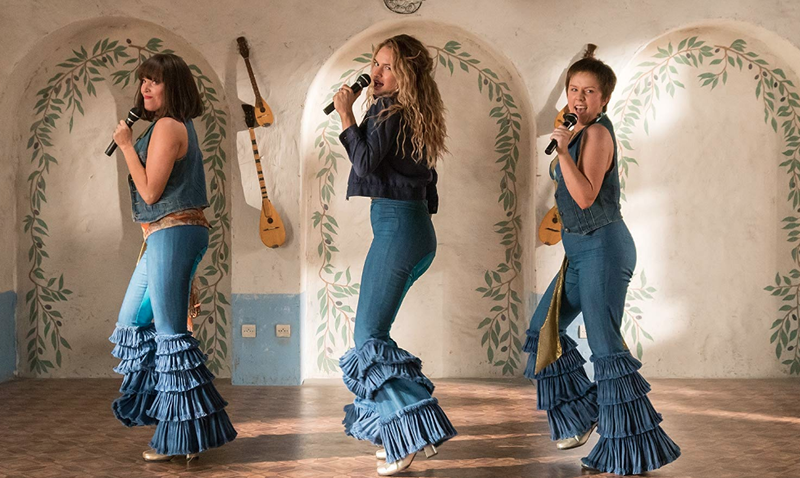 Just hearing a collection of ABBA songs and surrendering to their energy is the “name of the game,” but because “Mamma Mia!” already covered the Swedes' catchiest and most recognizable hits, that leaves “Mamma Mia! Here We Go Again” to run through a lot of second-tier, B-side tracks. There are easy standouts, like young Donna breaking out into the lively “When I Kissed the Teacher” with her two pals on the graduation stage and “Angeleyes,” as older Tanya and Rosie lead Sophie in the number in the hotel courtyard. While some of the deep-cut covers (“One of Us” and “Why Did It Have To Be Me?”) are only passable and sometimes even insipid, the placement of the songs feel less shoehorned-in than in the first film and serve more of a purpose to the context of the story. “Waterloo,” performed in a Napoleon-themed French restaurant by young Harry and Donna, is a big delight, and it’s no surprise that the most infectious earworms are reprises of the title song, this time with Donna performing on a rinky-dink stage at a Greek tavern with her Dynamos, and “Dancing Queen,” an unabashedly crowd-pleasing sing-along and dance party down to the dock to greet some incoming ships. Taking over for theater director Phyllida Lloyd from the first film, writer-director Ol Parker (2006’s “Imagine Me & You”) brings more flair to the musical numbers, relying less on actors hyperactively mugging in front of the camera and awkwardly singing and dancing in front of the camera, cutting only when necessary and having a more polished sense of blocking, choreography, and placement of the camera. There are also several rather clever transitions from scene to scene, seamlessly bouncing back and forth in time from 1979 to present-day 2005. The core cast goes at it again, having the time of their lives, Amanda Seyfried lovely and radiant as ever as Sophie, though struggling to keep her flailing relationship with Dominic Cooper's Sky emotionally involving, and Christine Baranski and Julie Walters are such pros and get to be hoots again as Donna’s gal pals, especially when they set their eyes on the handsome hotel manager (Andy Garcia). Thanklessly, Pierce Brosnan doesn’t get to embarrass himself this time, even if he does get a light retry of “S.O.S.” when remembering the late Donna, while Colin Firth and Stellan Skarsgård are still game. The cast has been expanded, making room for the younger counterparts in the extended flashbacks. Lily James is a winsome ray of sunshine with a spring in her step, diving right into playing a younger Donna and, in a way, a younger Meryl Streep; moreover, she can actually carry a tune. Of the other newbies to the cast, Jessica Keenan Wynn (in her feature film debut) lends the most spark, a dead ringer for Christine Baranski as the man-loving Tanya. Hugh Skinner, Josh Dylan, and Jeremy Irvine as the younger counterparts to Firth, Skarsgård, and Brosnan are handsome and mimic surface-level mannerisms but make little impression. Though the marketing materials make it seem like Meryl Streep gets more screen time than she really does, when Streep does return, if very briefly, to sing “My Love, My Life,” it is a poignant tribute to Donna. If one can set aside the mathematical fact that the musical diva is only three years older than Meryl Streep, Cher makes an 11th-hour entrance as Sophie’s estranged grandmother Ruby and delivers her serenade “Fernando” with show-stopping gusto, complete with fireworks. Both “Mamma Mia!” and “Mamma Mia! Here We Go Again” exist somewhere between fun and campy, but they both play out like painless two-hour vacations from the real world, and that’s a very good thing. It’s not a deal-breaker that the low-stakes narrative is as light as a Galatopita custard tart because the buoyant song-and-dance performances make the film click more than not. As most musicals end with a big final number, “Mamma Mia! Here We Go Again” culminates in the final credits with the ensemble’s curtain call, all of them performing “Super Trouper” in glittery ABBA-inspired outfits, and it’s a joyous high note to leave on. For a decade-later sequel that’s mainly an excuse to see actors having a good time warbling, it’s impossible not to smile and gyrate along with them. “Mamma Mia! Here We Go Again” is more of a sunny, likable escapism than a movie musical all-timer, however, sometimes, free-wheeling enthusiasm is all you really need.